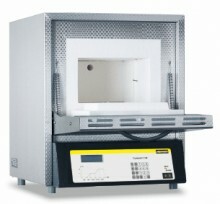 Our L 3/11 - LT 40/12 series is the right choice for daily laboratory use. These models stand out for their excellent workmanship, advanced and attractive design, and high level of reliability. The furnaces come equipped with either a flap door or lift door at no extra charge. Klik tombol di bawah untuk menambahkan Professional Furnaces: L 3/11 - LT 40/12 with Flap Door or Lift Door ke Daftar Keinginan Anda.